BIG: CRISIS begins as the Arab Spring ignites. Duncan Luke is now head of the Bingham Intelligence Group, working with the frustrating and beguiling Ghislaine Bingham. 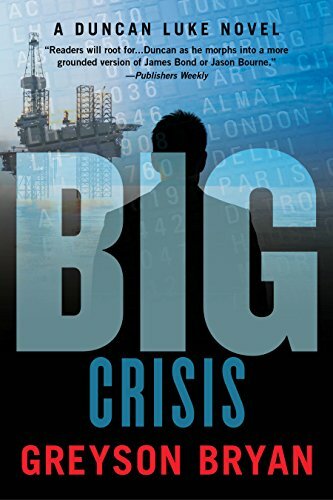 His life is in chaos, Bingham's future is uncertain and grave danger lurks in the company's new oil investment. London, Paris and the West African island nation of São Tomé and Príncipe take center stage as Duncan must again set out on a trek around the globe while life with his autistic son, Sam, hangs in the balance.